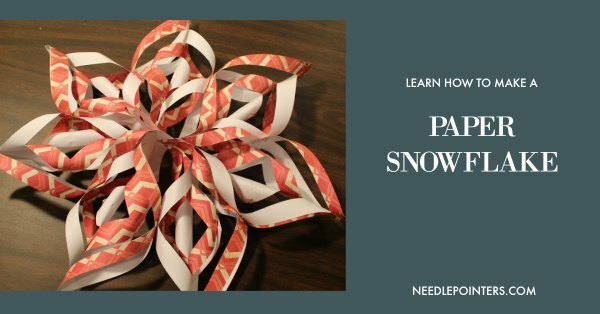 Learn how to make paper snowflakes by watching this video tutorial and reading on for photographic step-by-step instructions. 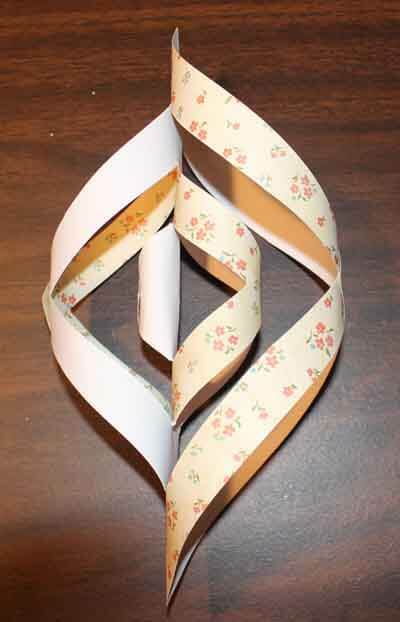 I remember many years ago making one of these paper snowflakes during a school holiday party. Those were made with plain white paper but they let the kids color on them first. I'm pretty sure this was done in a Kindergarten classroom. So, no matter what age, this can be a fun project. 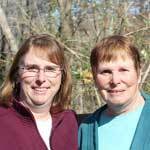 Younger kids would need more help. For our paper snowflakes, we used scrapbooking paper from one of those large books of paper you can get at the craft store. These sheets are thicker but work well for these snowflakes. I've also seen them made from craft foam. Sparkly paper may also work, but we didn't try it ourselves. 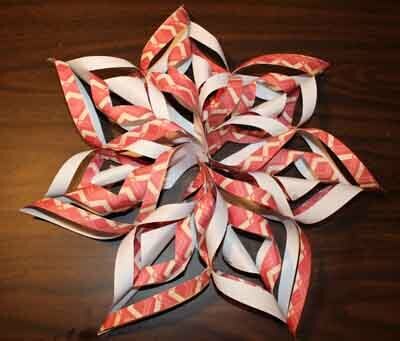 You can make different sized snowflakes depending on what size paper you have. 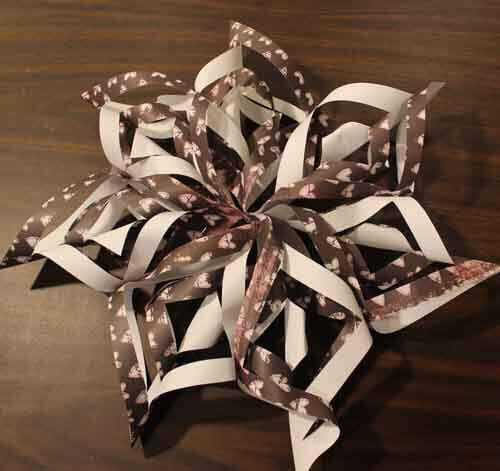 The snowflakes made from scrapbooking paper are pretty large. 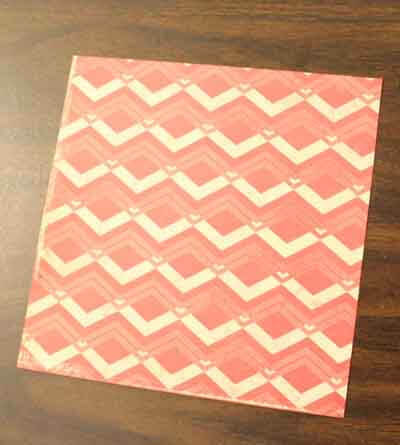 We cut our scrapbooking paper into 4 squares. You can make them smaller by just cutting smaller squares. 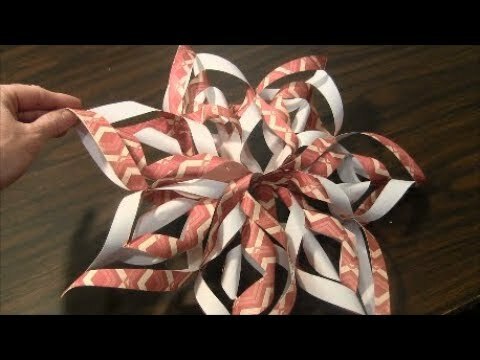 Click to watch the How to make a paper snowflake video in Youtube. 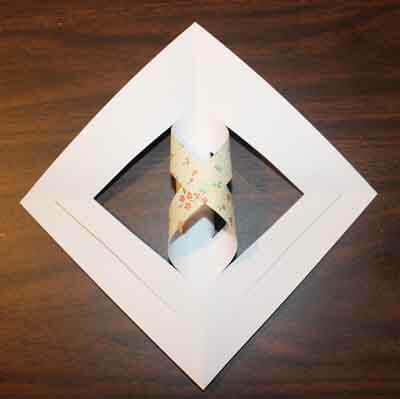 Start with your 7 pieces of paper cut into squares. 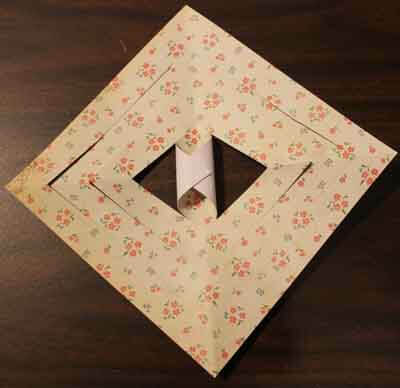 For each paper, fold it in half, corner to corner. 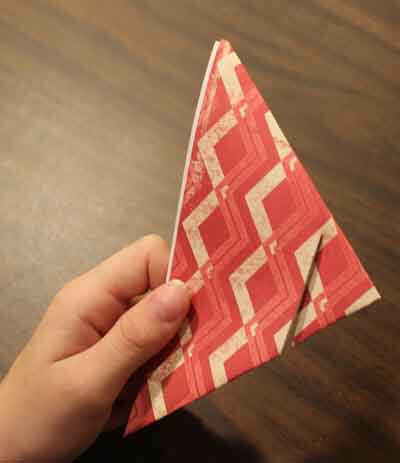 Then fold it in half again, corner to corner. You will have a triangle shape. 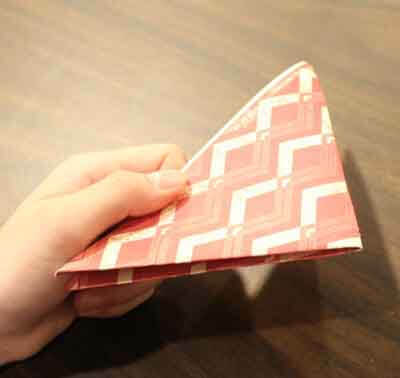 Hold it with the paper edges in your non-scissor hand with the two folds towards you. 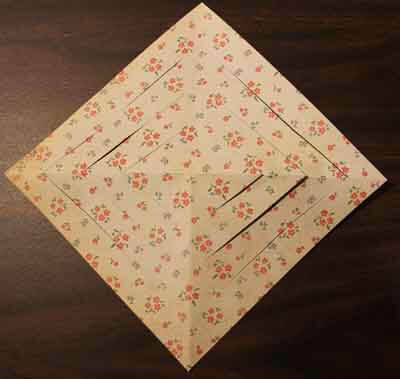 The single fold should be up. 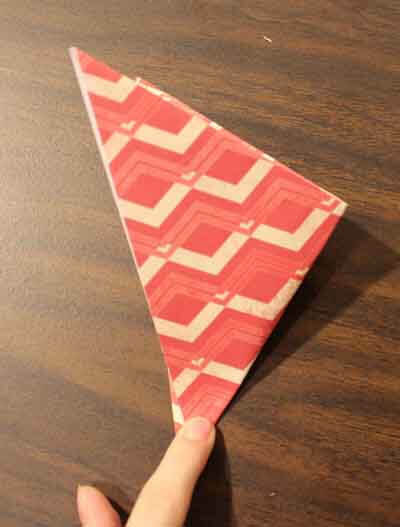 Cut from the edge with the two folds towards the edge with the single fold. Do not cut all the way through. 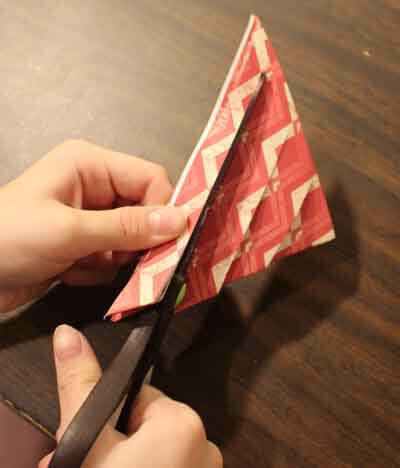 Stop cutting 1/4" to 1/2" inch from the single folded edge. 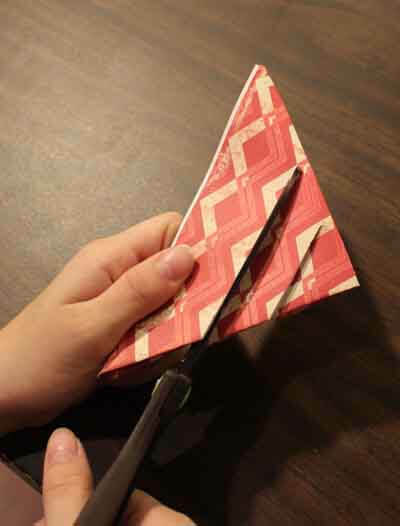 You will be cutting 3 cuts and you need to try to evenly space them. Once you have your 7 pieces cut, then open them up. It's time to twist and flip. If you have a colored and white side of your paper, start with the color side up. 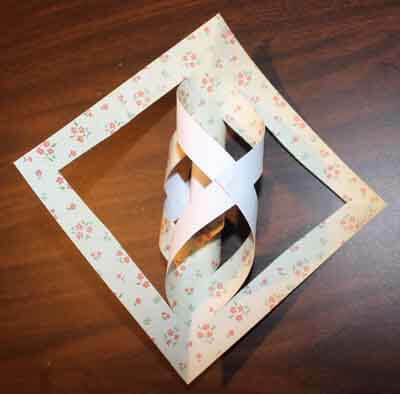 You can use glue dots or a stapler to hold the twists. We found that glue dots didn't hold the snowflake and it kept popping apart. But maybe you'll have more success with glue dots. Wrap the two points of the center cuts up and overlap the points. Put a glue dot or staple them together. Next flip the paper over. 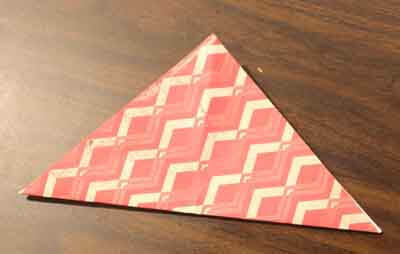 Take the next two sections next to the center and overlap the points and glue/staple them together. 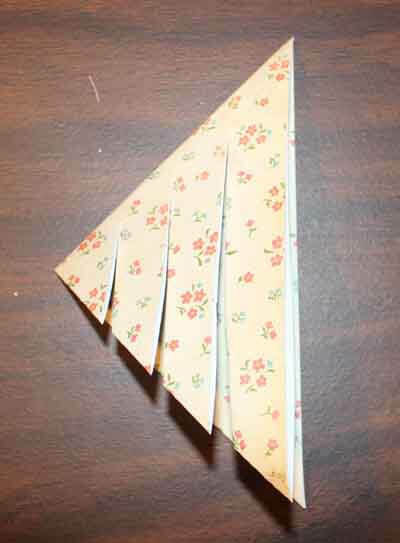 Flip the paper over and glue/staple the next one. Flip once more and glue/staple the last two sections. Repeat for all 7 sections. Next, line all of the sections up side by side and make sure they are all facing the same way. If your colored paper is on the right, make sure all are on the right. Glue/staple the sections together at the centers. 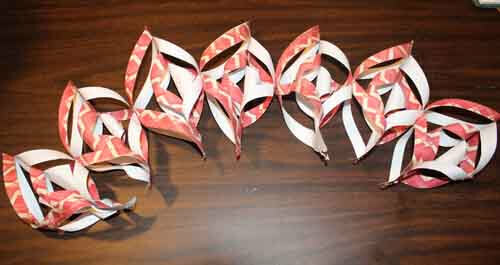 The center is where you just glued/stapled them. Once you have the long row of them, take the first and the last one and join them together in a circle. The last step is to glue/staple the center points together. We usually staple 3 together on each side, then staple the two sections of 3 together and to the last one. Your snowflake is complete. 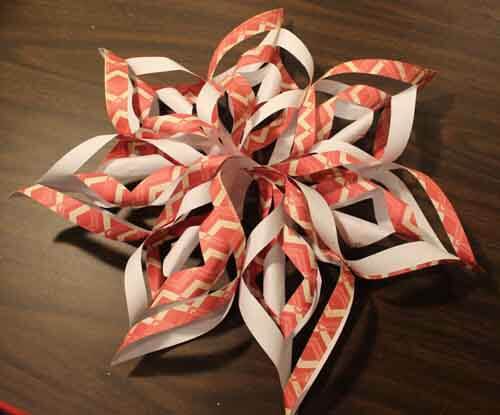 Here is another snowflake made with different paper.